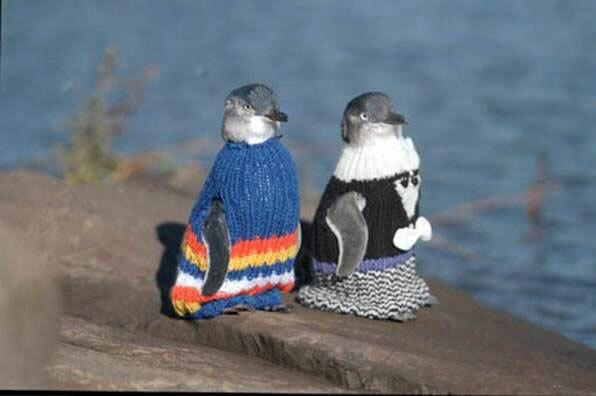 The only thing cuter than a penguin is a penguin in a hand-made sweater, and it turns out that’s just what Skeinz yarn shop in New Zealand is asking for, to help keep their local penguins safe and warm as they recover from the recent oil spill. They even have patterns and instructions on how to knit them! Although they have already greatly surpassed their goal of 100 donated sweaters, there will unfortunately always be a need for more, so get those knitting needles clacking!